Italian Plastic | Hello Cool World! During our time in Italy, we started to notice a strange subculture of everyday Italian life. 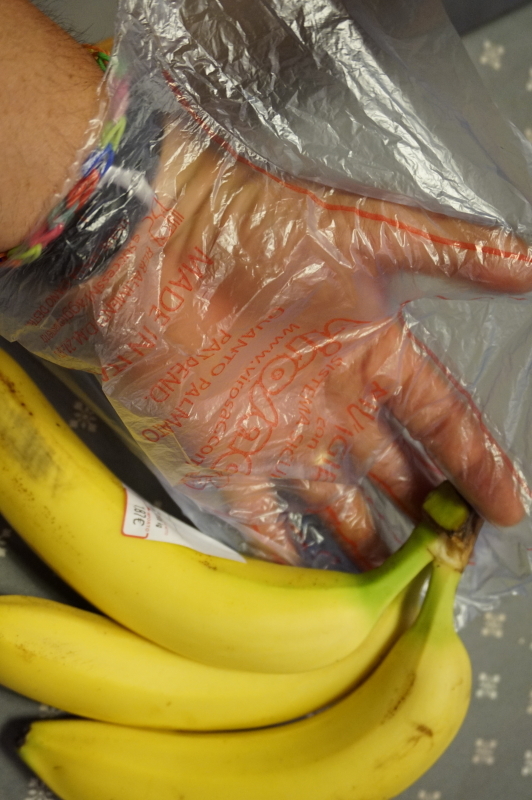 When we went to buy things at supermarkets, we started to notice the large amount of plastic that was used. Here’s how it works: If you were to buy some bananas, you may see someone giving you the stink eye when you pick them up like we do in Canada. 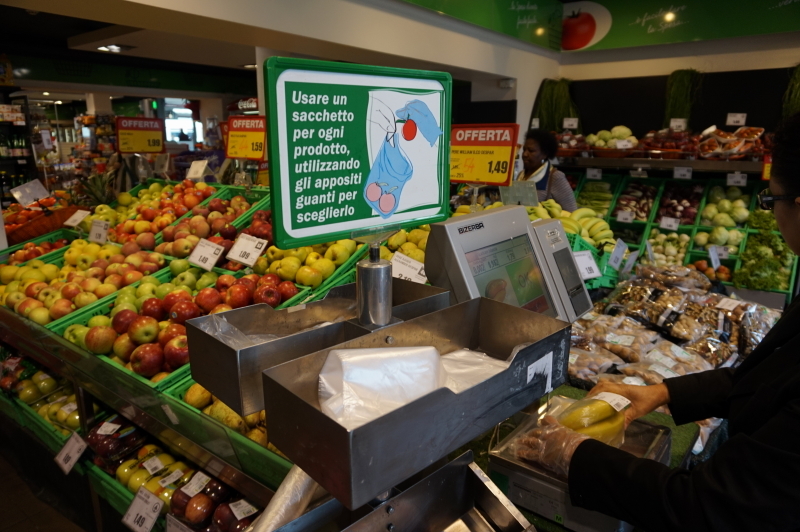 Turns out that in Italy, you’re actually supposed to don a plastic glove when handling produce, then put them in a plastic bag when you go to weigh it. The fact that bananas come in their own wrapper doesn’t seem to matter. If you don’t like this method, you can buy vegetables and fruit on a Styrofoam tray covered in Saran Wrap. Either way, a LOT of plastic was used. This was supposed to stop the spread of germs, and people claimed that the plastic was recycled, although we remain skeptical. All things being equal, this is an interesting look into the Italian culture when it comes to plastics. I’m pleased to say we use far fewer plastic bags. They are not easy to open. To address this problem a common practice is to lick the tip of the thumb lightly then rub the tip of the forefinger against the new-licked thumb (Try it). Having done this the thumb and forefinger is twitched on the bag and it opens like a charm. I forgot to say it is the right hand that recieves this touching llittle blessing. Tomatoes for the bag can now be selected, giving each candidate a slight squeeze, checking for firmness; same hand, the lick having, in the meantime, dried. Some I have seen, being thoughtful of their fellows, will instead touch a wet cabbage on a nearby shelf.